Communicating with our public has been a fundamental part of education since the Olympia School District began in 1854. We believe our Communications and Community Relations program is an essential component for sharing information and accomplishments of our educational programs, students, staff and community. 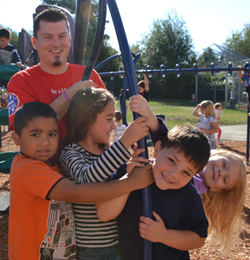 Annual Report: Available annually for Olympia School District residents and community. Calendar: Available at the beginning of each school year for our students, families and staff. Spotlight on Success: Available to parents, staff, students and the Olympia community every two weeks throughout the school year. We are here to promote communication between our Board of Directors, Superintendent, staff, families and vested community members. Please let us know how we can serve you better. To request hard copies of any of the above publications please contact the Olympia School District Communications Department.